– Santiago: Santiago is a thriving modern city. Visitors can immerse themselves in the past at one of the many museums or enjoy an evening of culture as theatre and dance are quite popular for evening entertainment. Santiago also has several pristine parks that are worth a visit including Cerro Santa Lucia, Parque Forestal, Parque Bicentenario and Parque Metropolitano (home to the large Virgin Mary statue that sits on top of Cerro San Cristobal – take a cable car to the top for spectacular views of the city). Walk around the main plaza, Plaza De Armas home to the national cathedral or stroll Santiago Centro or downtown with its quaint shops and delicious restaurants. The Pre-Colombian Art Museum is a stronghold of some of the most beautiful art from ancient times and, while small, is worth a visit. 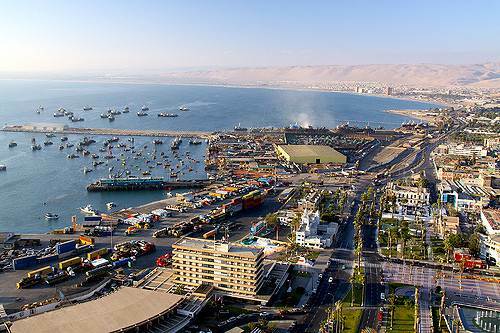 – Arica: Located to the north, Arica is a small seaside city with glorious beaches and several top-notch resorts. Surfing is quite popular at many of the beaches here, as is deep-sea fishing. Stop in at the famous San Marcos Cathedral for a brief but enjoyable respite from the hot sun or climb to the top of el Morro for a view of the coastline. Arica is a good base to use for day trips to Atiplano with its volcano and salt marshes and Lauca National Park the famed UNESCO World Biosphere Reserve. 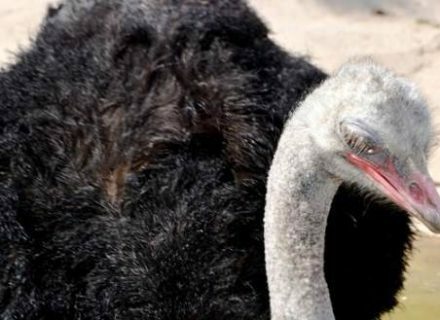 Keep an eye out for flamingos and rheas or one of the other 130 bird species. The Chungara Lake, sitting at the foot of the Payachata volcanoes is one of the park’s prime attractions. Enjoy hiking, mountain climbing and fishing in this reserve. Nearby are the Jurasi Hot Springs. 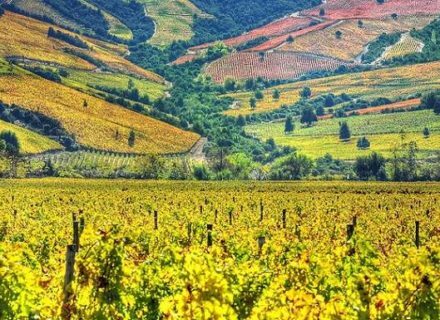 – Vina del Mar: Located in the central region of Chile on the coast, this seaside town is one of the most popular vacation spots in the country. With modern four and five star seaside resorts, casinos and polo grounds many of the Chilean jet setters can be found here. For those who want a break from the beautiful beaches, La Quinta Vergara is a lovely park with trees from as far away as Canada and China. Or catch a local football game, very popular with the town’s residents. There are plenty of shops selling local handicraft and be sure to stop in one of the pastry shops to sample the local delicacy, alfajor, chocolate coated fruit or caramel. – Atacama Desert: This 966 km rainless plateau is located west of the Andes as is considered by many to be the driest place in the world. The only bit of civilization is a small village; San Pedro de Atacama located right in the middle of the desert with a delightful Spanish church built in 1577. Chuquicamata, one of the world’s largest open pit copper mines and the Escondida Mine are both located in this desert and are open for public viewing. Other sights nearby are the Mamina Hot springs, El Tatio Geysers and the Pica Valley. For those tired of the desert stop over at the port town of Antofagasta for a night of fine dining and shopping. – Pacific Islands: Chile is home to several different exotic islands. The Juan Fernandez Islands are approximately 650km from the coast and can be reached by boat or plane. The islands are known for their bio-diversity and treks on foot, by horseback and by bike are popular amongst visitors. In the waters scuba diving and fishing are quite popular and a visit with the local residents, the fur seals and Magellan penguins can be quite amusing. – Easter Island: The remote island is best known for its gigantic stone statues built hundreds of years ago. The only way to reach the island, (apart from a very long boat journey) via a 5 ½ hour flight out of Chile (or Tahiti, if you are travelling from the opposite direction – such as New Zealand – towards Chile). The Rapa Nui National Park on Easter Island is considered a UNESCO World Heritage Site. While the statues are the main attraction, the volcanic crater Rano Raraku, where most of these statues or Moai were born is quite an incredible sight. Half finished carvings are on display all around the crater. The beaches on the island have soft white sand and water sports such as scuba diving and snorkelling are very popular. Guesthouses are available for those who wish to stay overnight. 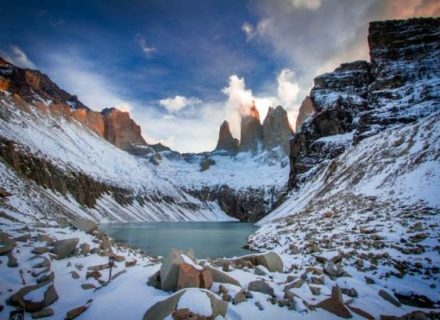 – Patagonia: Located at the southern end of Chile, Patagonia offers hiking in the impressive mountains of Torres del Paine and the local rainforests or try ice climbing up gigantic frozen waterfalls. Visit the numerous local penguin colonies to enjoy the humorous antics of the resident birds. Or, the traveller can choose to take a glacier cruise that travels from Chile’s Inside Passage through the Beagle Channel and around Cape Horn. The cruise takes the traveller through Laguna San Rafael where some majestic glacier valleys are on display. Gigantic icebergs are another common site on these cruises. Most of the ships also stop off at ports such as Puerto Natales and Tierra del Fuego in Argentina. – Other Things to Do: There is plenty of skiing in the mountains surrounding Santiago including resorts at El Colorado and Portillo. The Andes provide great skiing and snowboarding opportunities. White-water rafting is a very popular adventure and can be done down the Maipo River near Santiago or the Trancura near Pucon to name a few. The white-water trek down the Bio-Bio River is especially noteworthy for its waterfalls and hot springs. For an incredible close-up view of the stars and galaxies overhead stop in at the Collowara Observatory close to La Serena. Trips to Antarctica can be arranged out of the port city of Puenta Arenas.